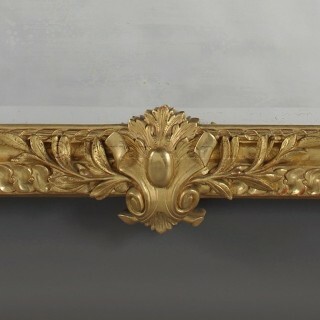 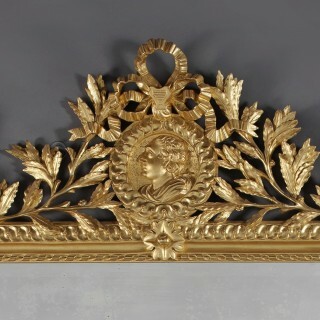 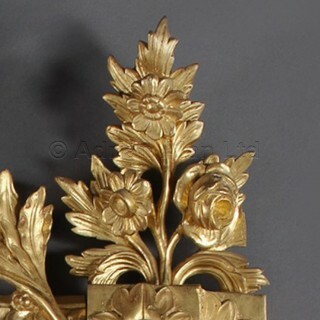 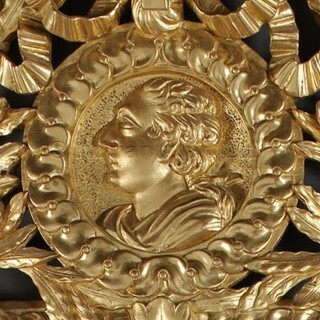 A Fine Louis XVI Style Carved Giltwood Mirror, the cresting carved with a portrait roundel of a man in profile. 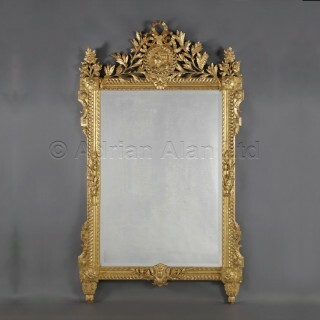 This impressive mirror is richly carved with a ribbon tied laurel cresting centred by a guilloche framed roundel, carved with a portrait medallion of a man in profile. 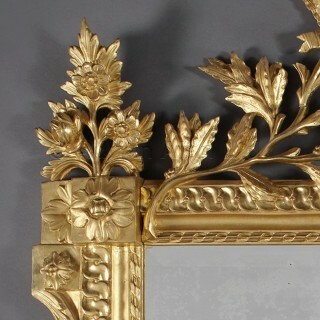 The cresting is flanked by foliate terminals, above uprights carved with guilloche running pattern and foliate sprays, framing a rectangular bevelled mirror plate.